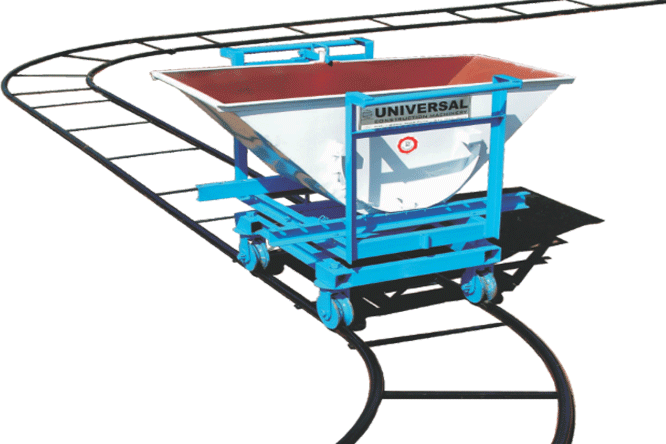 Tough Rider is the most rigidly designed mini dumper that offered by Universal. It is optimized to withstand the most extreme conditions on any construction site. These are available in 2 Tons and 2.5 Tons capacities. They are furnished with 23.4 BHP diesel engines and specially designed shock absorbers which enable them to ride efficiently and effortlessly across any terrain on the site. These are also fitted with power steering, making maneuvering very easy for the driver. The safety features like quick action hand brakes and tough safety hoods makes the dumpers completely safe to ride on the site. Along with possessing all these user friendly features, these machines also offer advantage in form of requiring minimum maintenance on the operator’s part. Universal offers Tough Rider 4 X 4 in three capacity variants viz. 1.5 Tons, 2 Tons and 2.5 Tons. 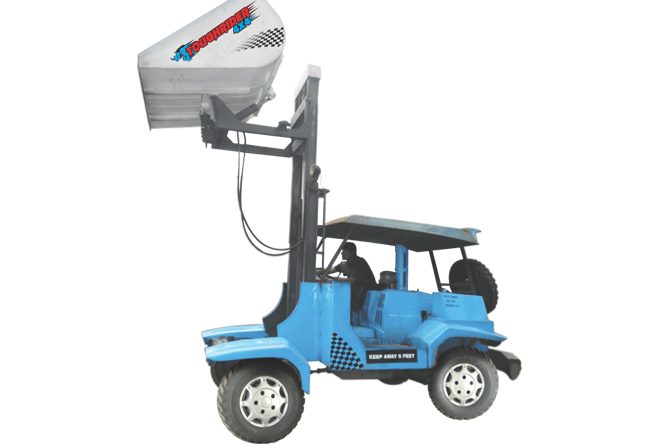 The 1.5 Ton variant can be used to dispense material up to the height of 3 meters. Engine – M&M inline, Water-Cooled, 4-stroke, 2 cylinder diesel engine. 23.4 BHP @ 2400 rpm. BS III CEV Emission Certified. Gearbox – M&M 2 Speed, constant reduction 4+1. Clutch – Dry Type, Single Disc. Transmission – 4 WD with mechanical transmission. Differential – Fully Floating beam type with fixed front and steerable rear. 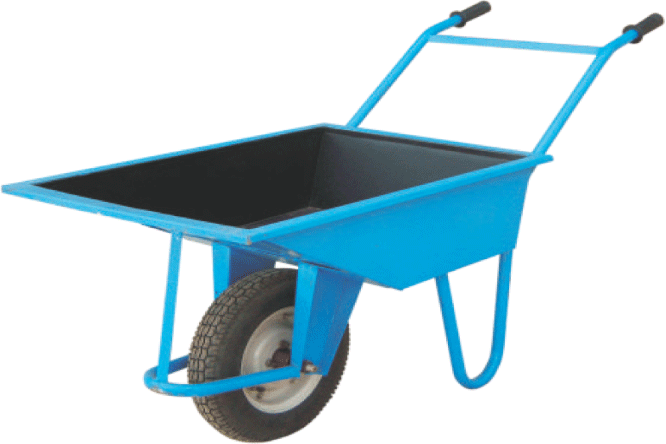 Brake – Service Brake: Hydraulic, Foot Operated, acting on all 4 wheels (Front drum and rear Disc). Parking Brake: Mechanical brake, hand operated, for front wheels. Hydraulic System – Operated with engine mounted hydraulic gear pump, controlled by hand operated valve to discharge bucket. Hydraulic Oil and Fuel Capacity – Oil tank made in M.S. with 30 Lt. Capacity. Fuel tank made in M.S. with 45 Lt. Capacity. Electrical System – 12V, 60Ah battery as per ARAI standards. Tires – Rim: 55 J X 15 H2. Tire: 7.00 X 15, 8PR. Discharge Height – 0.6 Mt. Dimensions (L X W X H) – 3700 X 1740 X 2150 mm. Weight – 1600 Kgs. (for 2 Ton capacity). and 1650 Kgs. (for 2.5 Ton capacity). Discharge Height – 3 Mt. Dimensions (L X W X H) – 4320 X 2150 X 3150 mm. Address: Universal House, Warje Naka,Pune – 411029, Maharashtra, India. © Copyright 2016 by Universal construction Machinary. All Rights Reserved.